Blowout Sale! 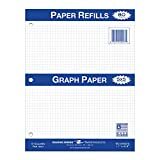 Up to 54% off on Graph Paper at LDP Graphic Design, Page 4. 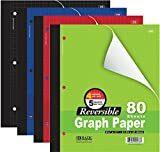 Top brands include Alvin, Homyl, Bazic, MiniPLOTs, Roaring Spring, Field Notes, Norcom, Jot, Miller Pads and Paper, National, iScholar, Mead, The Worcestershire Stationery Company, & School Smart. Hurry! Limited time offers. Offers valid only while supplies last. MiniPLOT Graph Paper Kit: 6 XY axis coordinate grid designs printed on 3x3" Sticky Note Pads. Pads mounted on 8.5x11" cardstock. 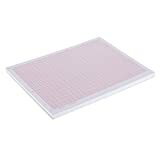 50 adhesive backed sheets per pad. MiniPLOT Graph Paper Kit: Polar & XY coordinate grid designs for TRIGONOMETRY printed on 3x3" Sticky Note pads. 50 adhesive backed sheets per pad. Pads mounted on 8.5x11" cardstock.